Burago di Molgora - in the 70s building, we offer a large apartment of 120sqm comm. The property is located on the mezzanine floor and has a double entrance. 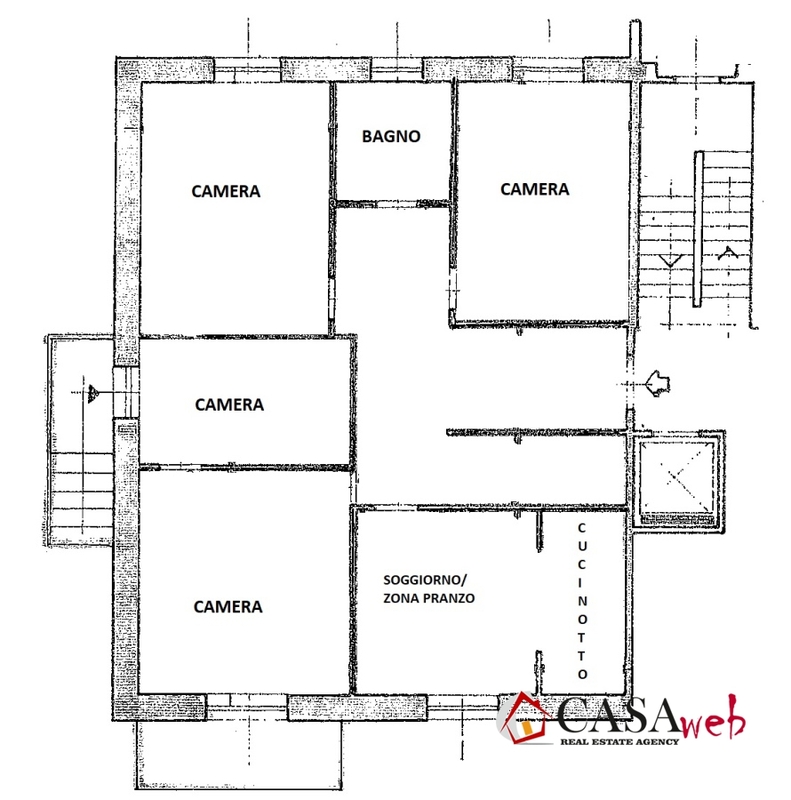 Inside it is divided into: large entrance, kitchenette with dining area, bathroom, three bedrooms and balcony. The building in its original state. Cellar and box included in the price.